Instagram handle @pele21graphs submitted this photo with controversial baseball great Roger Clemens. The picture was gathered earlier this year, at The Palazzo Hotel in Las Vegas. 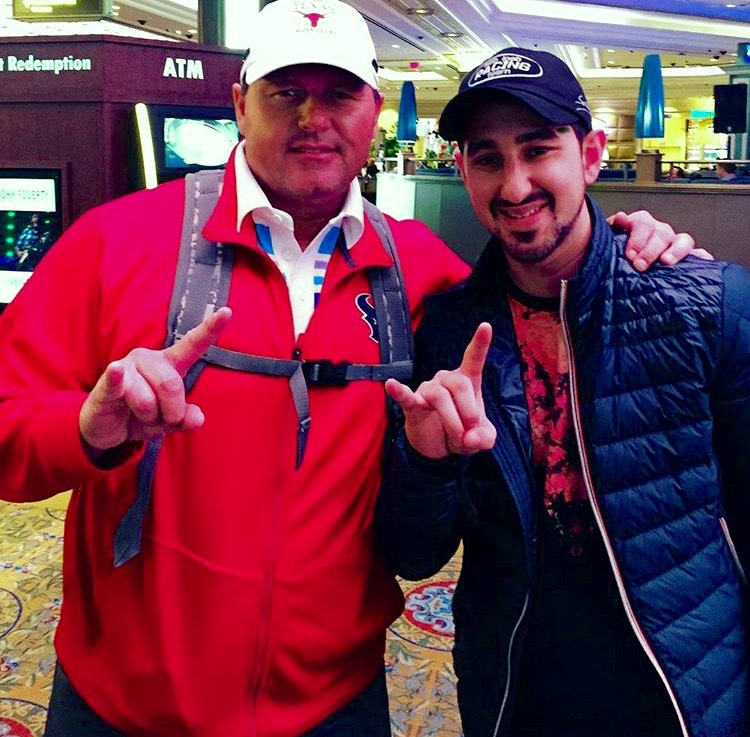 Clemens, a Texas resident since high school and University of Texas alum, was sporting a Longhorns hat and Texans jacket, with both guys giving the famous “Hook‘em Horns” sign to the camera. Clemens, who is undoubtedly one of the greatest pitchers to ever play baseball, won two World Series rings with the Yankees, along with seven Cy Young Awards. For his career, Clemens tallied a ridiculous 354 career wins and 4,672 strikeouts, but is not without controversy. On the mound, Clemens was known for his head hunting, short fuse and throwing up and in on batters. Clemens was also named in the Mitchell Report and accused by former trainer Brian McNamee of using performance-enhancing drugs. Clemens later stood trial on multiples counts of obstructing and making false statements to Congress, after testifying to a congressional committee in 2008. Though he was found not guilty of these charges, many fans and members of the media remain suspicious of his actions. The now 53-year-old certainly has the numbers to get into the Hall of Fame, but like many superstars of his generation, he may have a tough time getting in anytime soon.